The one things that’s always been high on my travel bucket list, is seeing the Northern Lights. 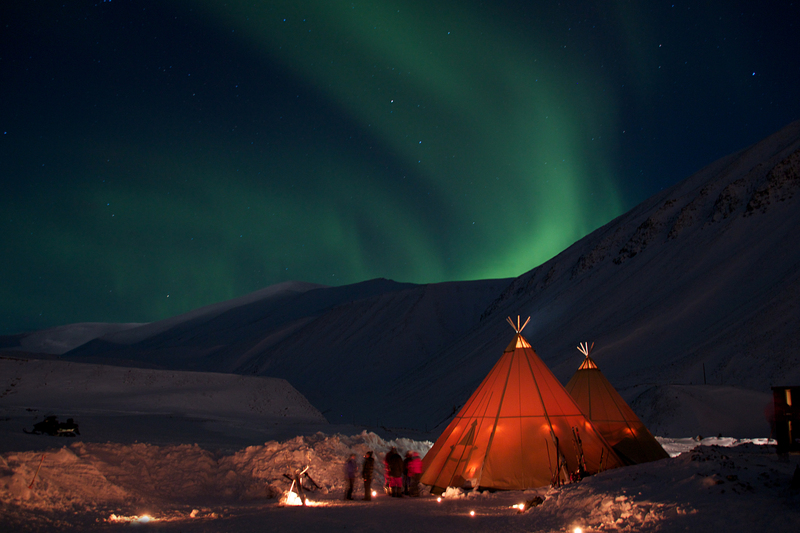 So let’s go to Svalbard (Spitsbergen) in Norway; it’s one of the best places to see the Northern Lights, night ànd day. The amazing aurora-spectacle is only visible in a few places in the world and since the Northern Lights are a natural phenomenon, you do need a bit of luck to see the lights, nature does what nature pleases, not what we want. If you’re really desperate to see the lights, you’ll have to go to Svalbard, the one place in the world were you can be pretty sure to see the lights; it’s also the most northern touristic destination in the world. The closer to the North Pole, the faster the geomagnetic activity (which causes the Northern Lights) and the bigger the change of enjoying this beautiful light show. Svalbard (formerly known by its Dutch name Spitsbergen) is a Norwegian archipelago located in the Arctic Ocean, less than 1200 km from the North Pole. Since the slightest bit of geomagnetic activity causes the Northern Lights in Svalbard, it’s even possible to witness the lights during the day, which is quite unique. Mind you, we’re talking daytime here, not daylight; from mid November to late January the sun doesn’t rise at all so it remains pitch black in Spitsbergen, it’s the so called polar night. During these dark months you have the best options to also see the northern lights during the day; this daytime aurora creates a different color palette and is an absolute must see. Most activities start from the capital Longyearbyen. The easiest and most efficient way to traverse the city and its natural surroundings, is by snowmobile (there are only a few official roads on the islands). Fancy driving a snowmobile yourself? 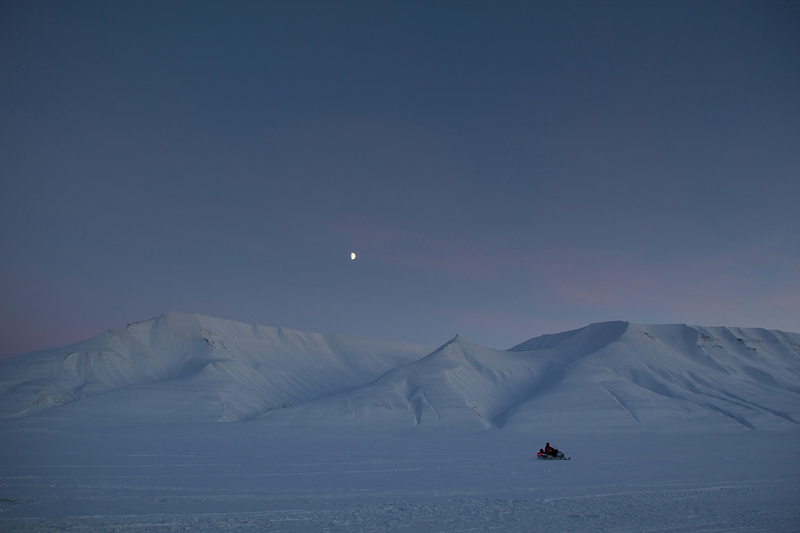 No problem; Svalbard Booking organizes daily snowmobile safaris. You’ll be driving through the most beautiful white landscapes and there’s a big chance of spotting reindeer, foxes and polar bears. And best of all: the guides will lead you to remote places where you can spot the Northern Lights, surrounded by unspoiled nature. 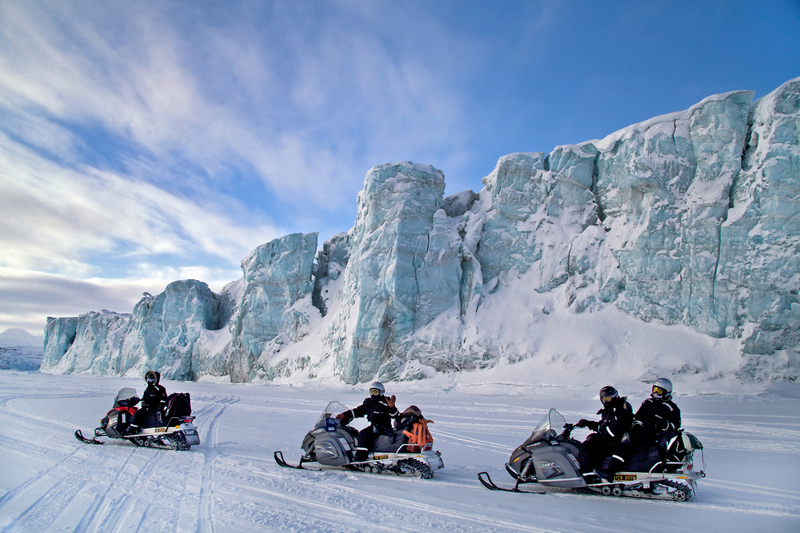 Real daredevils can also hire a private snowmobile and explore the area by themselves. But: this is not without risk. You should in fact always be prepared for polar bears. For specific rules and more information, have a look at www.sysselmannen.no. A little less G-forces than riding a snowmobile, but still good for a lot of fun and adrenaline. The dogs and guides from Green Dog Svalbard and Svalbard Husky will lead you around four hours through the beautiful landscapes of the archipelago, illuminated by the stunning Northern Lights. A magical and pure experience! During this husky tour through the arctic wilderness you will encounter many glaciers, frozen fjords and maybe even polar bears. During the cold winter months you can visit some spectacular underground ice sculptures. The ice caves look different each year as they melt during the summer months and take on different shapes when they freeze again the next winter. The guides from Svalbard Wildlife Expeditions will take you on a tour inside the ice caves to witness this extraordinary natural spectacle. Expect entering another world, filled with numerous ice formations and blue and white colors. Expect to climb and crawl over the ice to explore this labyrinth of ice, but it’s so worth it! How do I get there, where do I stay? Although Spitsbergen may not be the most obvious travel destination, it’s still quite easy to get there. There are daily flights between Longyearbyen and the mainland, via Oslo and Tromso. You can book via SAS (www.flysas.be) or Norwegian Airlines (www.norwegian.com). Almost all the hotels are located in Longyearbyen and meet the western standards. You can also stay in Barentsburgs (the only remaining Russian settlement in Svalbard) or Pyramiden (a Soviet ghost town). 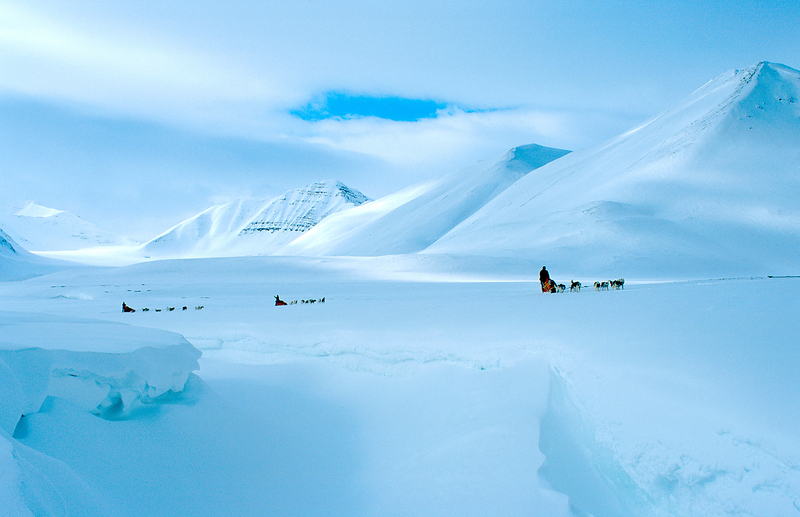 For all information about hotels, local tour operators and activities: www.visitsvalbard.com. And specific for Belgium: for fully organized tours you can contact www.nordic.be and www.gallia.be.